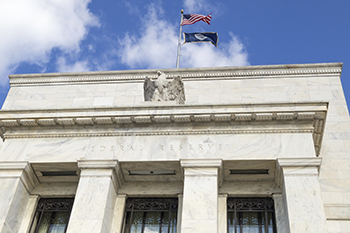 The Fed on Wednesday, 14th December approved the first 25 bps interest rate hike of the year. In addition, the FOMC indicated a higher rate in its look ahead than projected back in September. The committee now expects three rate hikes in 2017, two or three in 2018 and three in 2019. This came on the back of the US unemployment at 4.9%, a positive figure in Fed’s view and Inflation presently at 1.1%, below the Fed’s 2% target which has indicated improvement in the US economy. Consequently the Fed increased the interest rates by 25bps to 0.50%-0.75%. Though the rate high was largely anticipated and priced in by the markets, the commentary by Fed’s Chairwoman Janet Yellen was the one to bring anxiety in the market. Fed has warned further rate hikes in 2017 at an accelerated pace with possibility of 3 rates hikes vs. expected 2 hikes. However, this time around we see a potential divergence of monetary policies with the US’s peer G-20 countries implementing loose monetary policy and even quantitative easing. Dollar is one of the most influential currencies from the entire pack. Post the US Presidential elections and the anticipation of a rate hike, the dollar gained against the basket of global currencies. The fed rate hike is likely to lead to Rupee depreciation, due to the cascading effect on all emerging markets. As seen post the rate hike on Dec 15 the dollar index rose to 103, highest level in last 13 years. This indicates pressure on emerging market currencies like Rupee and Peso. Even developed market currencies would possibly bear the brunt as Euro touched 1.05 against the Dollar, a 14 year low. On domestic front, the RBI intervention may act as a limited buffer since the RBI now is more accommodative of domestic parameters such as inflation and growth. If RBI further reduces domestic interest rates, it will further add to the Rupee fall, as the subsequent interest rate hikes by US Fed will reduce the gap between interest rate differential of US and India. The anticipation of the rate hike and a stronger dollar post the US presidential elections led to FII outflows worth Rs 18,909 Cr from the Indian markets till now. The debt markets have seen outflow of ~Rs 43,000 Cr so far this year. The rise in the US bond yields post the presidential election also induced the highest FII outflow since 2008 from the Indian bond market. We may see further outflow with prospects of improving US economy going forward as investors will prefer to invest in US market both in debt (better yield) and equity (better economic growth). The rate hike will bring volatility in the bond markets as it will drive down price of 10 year domestic bond. Stock markets will also be impacted by the rate hike due to outflow of Foreign Institutional Funds. However, due to fundamental strong hold, India would be better off compared to other emerging markets. The consequent rate hikes would most likely affect the earnings of companies with foreign revenue or debt exposure. Earnings of Import oriented companies will be under pressure with a weaker Rupee, where as export oriented industries will benefit from favorable foreign exchange gains. The author, Abhimanyu Sofat is Vice President, Research of IIFL.